Soda is really bad, opt for plain water for our children! Last week, we started the Soda and Child series and today, we would continue exploring the other ingredients of soda. #3 Phosphoric Acid – Phosphorous deplete calcium in the body which is essential for the child’s growth, putting teenage girls at risk of osteoporosis. There are some studies that show that drinking soda is related to drinking less of milk, but this is not very significant. #5 Caffeine –Some soda contains caffeine which stimulates adrenal glands. Colas, diet colas and many soda contain caffeine. Energy drinks which are getting more popular among children and teens also contain caffeine. Drinking too much caffeine, as adults can attest to, make us tremble, lose sleep, stomach upset, increased blood pressure and irregular heartbeat. #6 Sodium benzoate or potassium benzoate –these are preservatives present in diet sodas which have been linked with allergic conditions and possible irritant to the skin, eyes and mucous membranes. Studies on rats indicate increase in anxiety and motor impairment after benzoate consumption. #7 Aspartame – Used in diet soda as a sugar substitute, there are many studies linking aspartame to brain tumors, birth defects, diabetes, emotional disorders and epilepsy (from Mercola site). Interestingly, Dr Mercola pointed out that “when aspartame is stored for long periods of time or kept in warm areas it changes to methanol, an alcohol that converts to formaldehyde and formic acid, which are known carcinogens”. 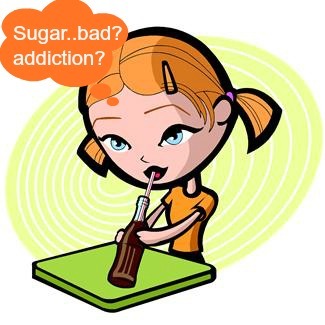 Artificial sweeteners are hundreds to thousands of times sweeter than regular sugar, activating our genetically-programmed preference for sweet taste more than any other substance. They trick your metabolism into thinking sugar is on its way. This causes your body to pump out insulin, the fat storage hormone, which lays down more belly fat. It also confuses and slows your metabolism down, so you burn fewer calories every day. It makes you hungrier and crave even more sugar and starchy carbs like bread and pasta. In animal studies, the rats that consumed artificial sweeteners ate more, their metabolism slowed, and they put on 14 percent more body fat in just two weeks — even eating fewer calories. In population studies, there was a 200 percent increased risk of obesity in diet soda drinkers. #9 MSG Monosodium Glutamate – MSG is found within the citric acid and has been linked to brain diseases like Alzheimer’s,learning disorders and psychiatric conditions. #10 Diuretics –Sodas are diuretics which is dehydrating and affects digestion. These top 10 Bads of Soda, even though studies may not have been conclusive causal links, are enough to stop me, my child and my family from consuming. Is there any impact on allergic conditions? Find out next week. Life of Eczema Girl – C is for what?